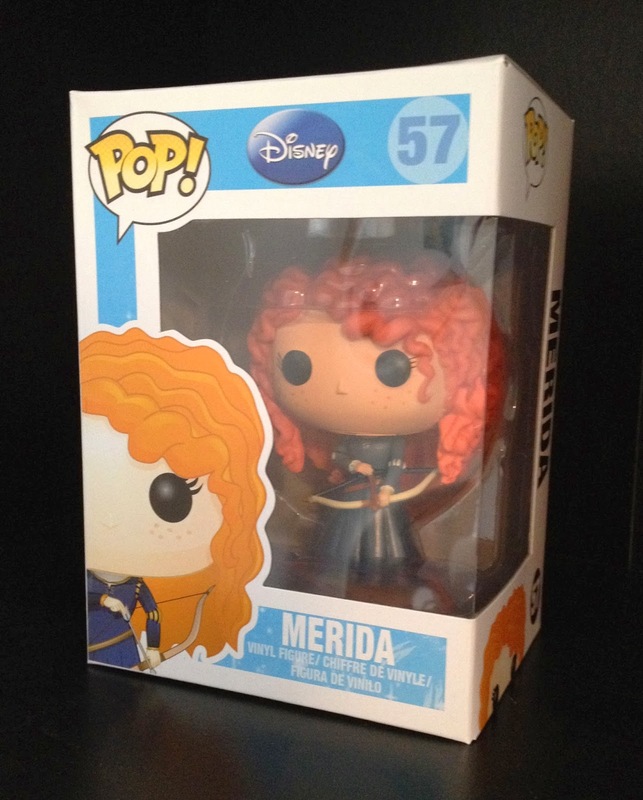 Here is #57 of the Disney "POP" series from Funko...Merida from Brave! 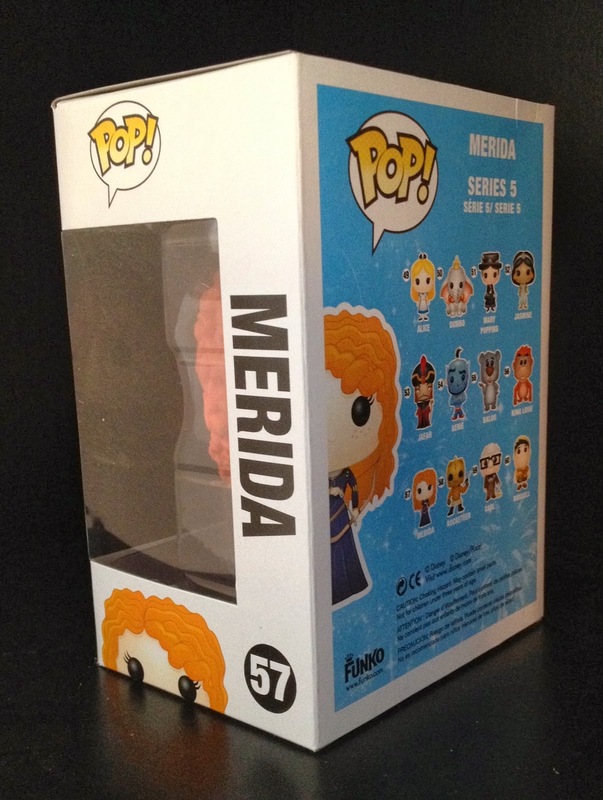 If you're a consistent reader here, you probably already know that I'm a big fan of "Funkos" (as I call them) and the current vinyl collectible craze in general. I really like the minimalist, stylized design of the line and this one is no exception. 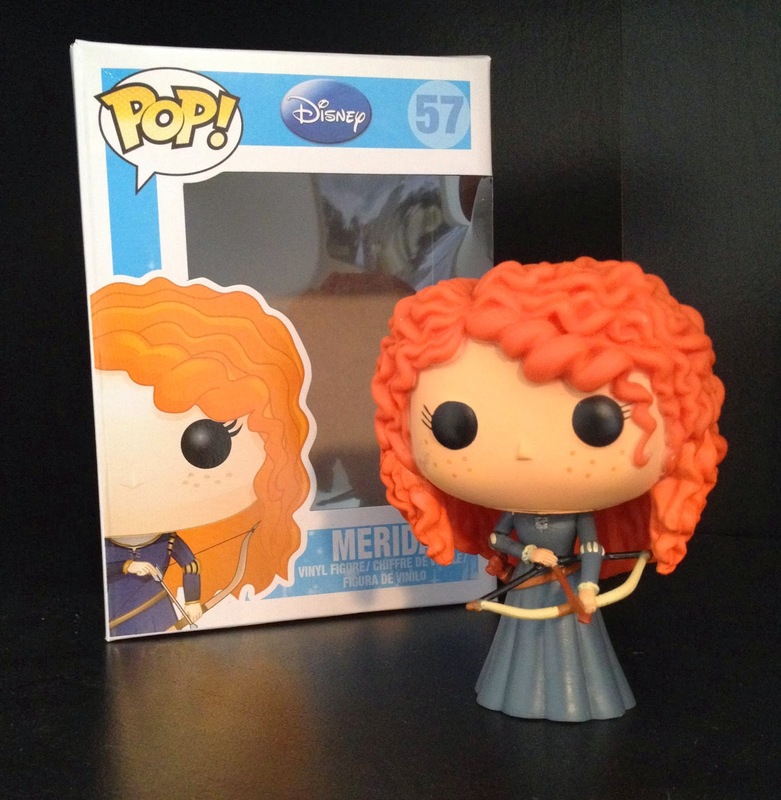 Merida comes in a cool pose with her bow and arrow and her signature dress, but the real stand out here (just as in the film) is the hair. 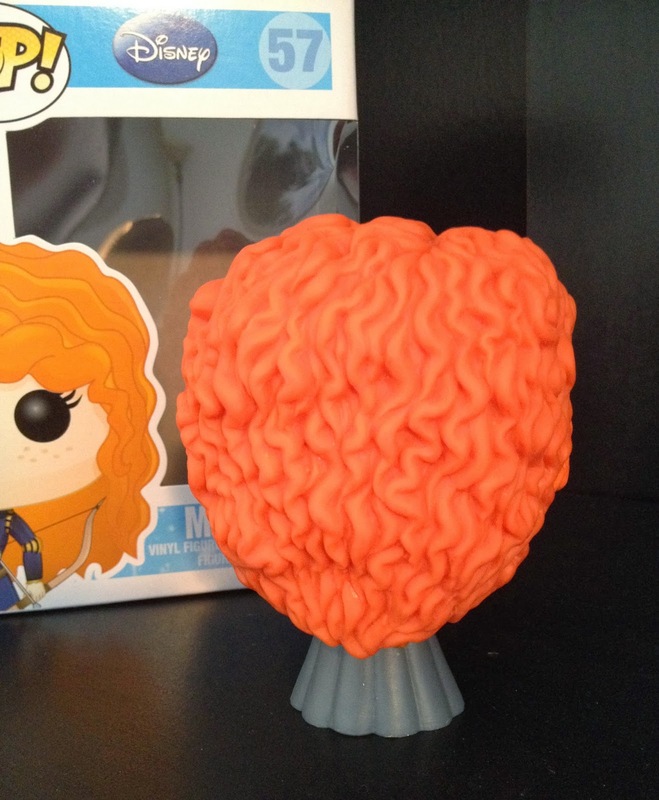 Funko did an especially great design job here and executed it perfectly. All the POP Funko figures are fun, quality and perfect for both kids and adult collectors who use them as display pieces.